Here is my +1400-word reply because there are different ways to do this. I have listed nine ways to track Facebook Conversations. The first eight tips are organic, and the last one is not. It is one thing to have people hop over your Facebook business page and start engaging. 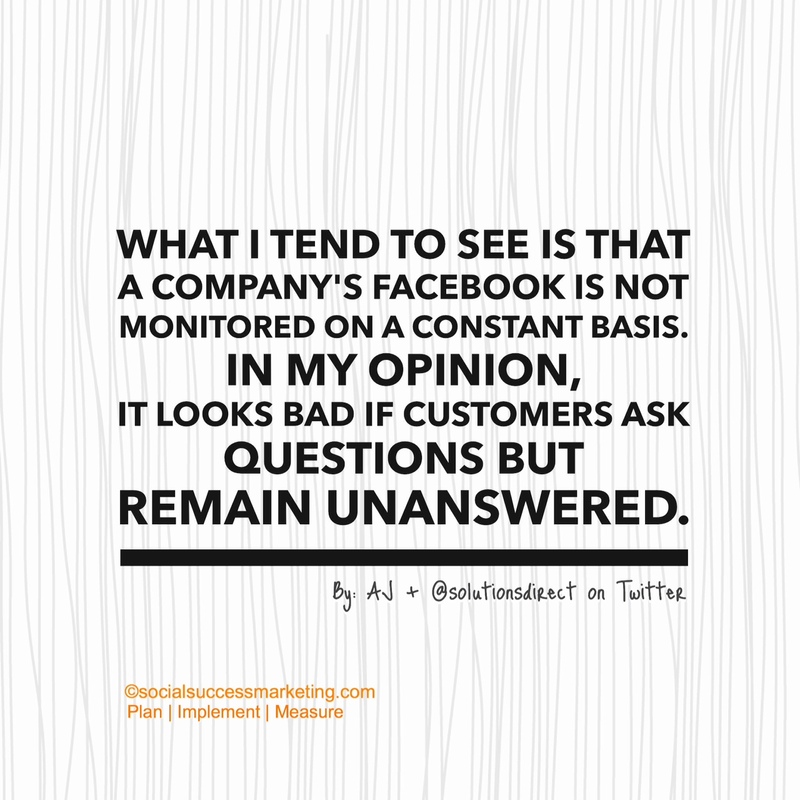 It is another, however, to have them return and converse with your brand on your Facebook business page. You wouldn’t want to miss it, would you? If you are following these tips on how to increase engagement on Facebook, sooner, or later, you will have people engaging with your business page. And, THAT is what you want to happen to yours, right? What happens if you lose track of conversations on Facebook? You could get unfollowed, or worse, blocked by an annoyed follower. Personally, a page’s response, or lack of it, determines how I add, or remove them from lists. Facebook Profile vs. Business Page | What’s the Difference? For all these instructions, make sure that you are using Facebook on your page. How do you know that you are using it “as your page”? The icon that would show in the upper right-hand corner of the page should be your business page name, not your name. Check the upper right-hand corner it should show your Facebook PAGE name not your name. Are you ready to find out ways to keep track of conversations on your Facebook page? 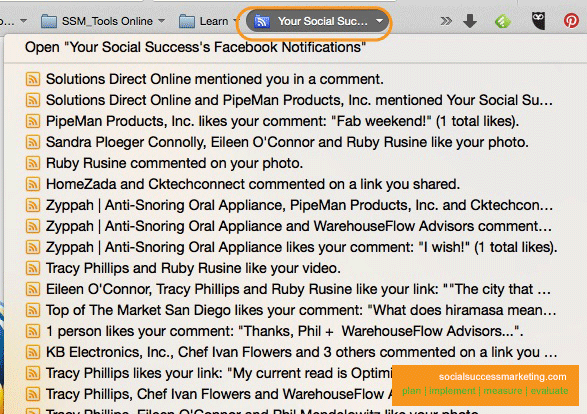 The Facebook URL for notifications is https://www.facebook.com/socialsuccessmktg/notifications/, where it says “socialsuccessmktg,” replace it with your FB page URL name. P.P.S. I am using Facebook’s business manager so it might look different from yours if you are not using it. If there is engagement happening on your page that you haven’t read yet, the notifications tab will show the number of conversations. The page will also show you all engagements that occurred during the past seven days, and is grouped according to recency. It will show likes, comments, mentions, etc. happening IN your page, and if your Facebook page is tagged or mentioned on someone else’s page. Just scroll down, and respond (or not) accordingly. Here’s a time-saver tip: There may be too many business pages to respond to (aren’t you lucky!). Instead of going back and forth from pages of those you like to reply to and the notifications tab, open each conversation in a different tab (or window if you prefer). Keep the notifications tab open all the time as you read all notifications. 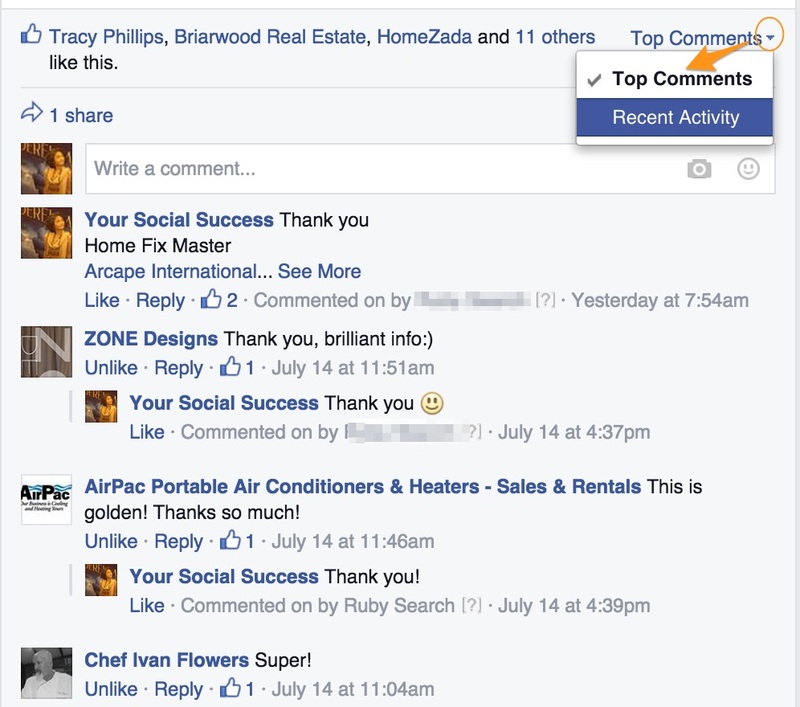 This section logs conversations that your business did as it engaged with other pages. This section records conversations that your company page did as it engaged with other pages. This one is helpful and worth checking if: you have assigned staff to manage social media; or, a social media consultant to manage your page. You can see all forms of engagement that your business page did through the people that you have entrusted to run your Facebook social media page. While you are logged in as your page, the URL should look like this one: https://www.facebook[dot]com/socialsuccessmktg. The orange text should be your Facebook business page name. Then add this > /allactivity < at the end of the above URL. The point: If you want to check you business’ social IQ, this is the spot to check it. Conversation is two-way. Is your page doing it? We converse with those who visit the page, and we return the favor of the visit. There are companies that ignore engagement but for start-ups and small businesses with a tight budget and are trying to get traction to get noticed, conversing with other brands is an organic brand awareness tactic. In other words, engagement in social media is a free brand awareness strategy. 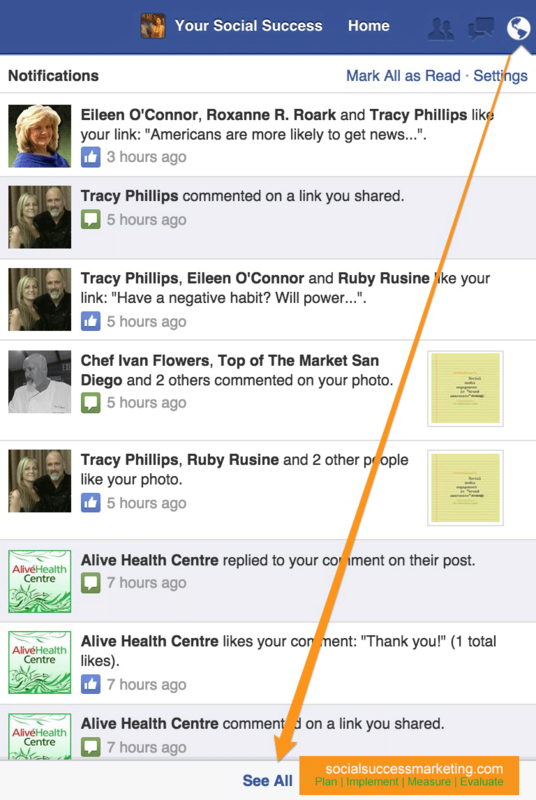 The globe notifications icon is a quick way to check if there is any form of engagement in your Facebook page. When clicked, the globe icon will show you something like this image below. When you click “see all,” you will see the conversations for the last seven days. Using Facebook’s globe notification to read and respond to conversations. Note that the ones shaded in gray means that we haven’t responded to those yet. 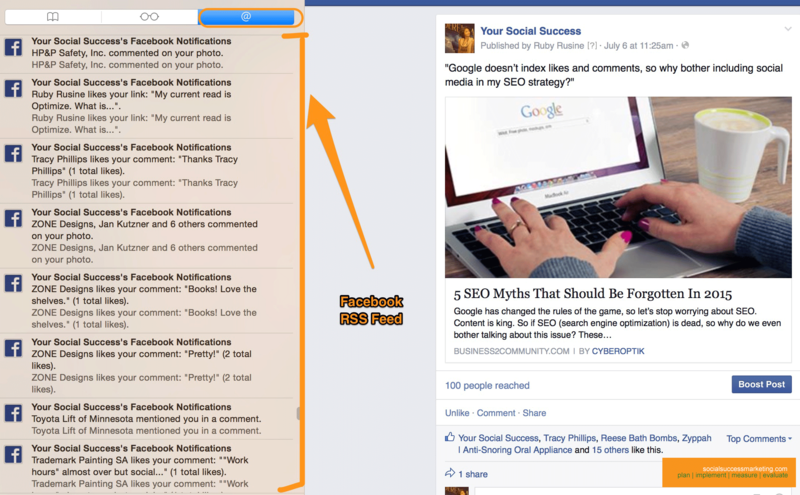 Did you know that your Facebook page has its own RSS Feed? As of this writing, it only works in Safari and Firefox, not in Google Chrome. Click, the globe notification icon. Scroll down until you see. “See All.” Click it. Click, “Subscribe” to bookmark it. Keeping track of Facebook conversation using the RSS feed. Here is how your RSS feed will appear in Safari (I am using Yosemite. Not sure about the “look” in yours). Facebook’s RSS feed using Safari. Here is how the RSS feed will appear if you are using Firefox. Between the two RSS feeds, Safari is my favorite. “Posts by Others” is a functionality that you will not easily find. It’s kind of, hidden. Why would you bother checking posts by others? In my experience, “notifications” dashboard sometimes seem not to show everything. We assume that it does, but it seems not, because I’ve seen some mentions bundled up in Posts by Others that do not appear in the notifications timeline. How to find it? Posts to the page include mentions by others of your page in their timeline, and posts left by others directly to your page (like the image below). In my experience, we sometimes miss this, so I have made it a point to check this regularly. Where is the “Posts to Page” section? Go over posts with more than two comments in your timeline. Where to find that little itty bitty drop-down arrow to get to “recent” posts. Watch this quick video on how to set up your Facebook notifications settings. Don’t forget to check the email sent to you. You can track conversations, or engagement through that if you did #7 (above video). There are a plethora of social media tools that you can use to manage and monitor engagement. The ones we use (or have used): SproutSocial, Hootsuite, and Buffer. Each has trial versions you can try. As to which one is the best? There is no correct answer to that in my opinion. I’ve seen that question aired out many times. It depends on what you are looking for in a tool – features, analytics, ease of use, your budget, etc. 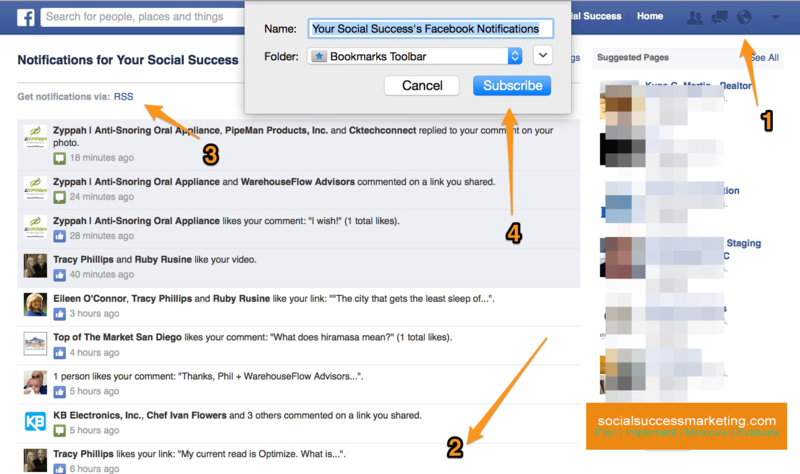 Make tracking conversations on your Facebook page a habit. Choose the one process that is easy for you and your team. Of the above tips I shared, which ones would be my favorite way of tracking conversations on Facebook? For organic, Safari RSS fee and a combination of pro tools. How do you track Facebook conversations for your page?